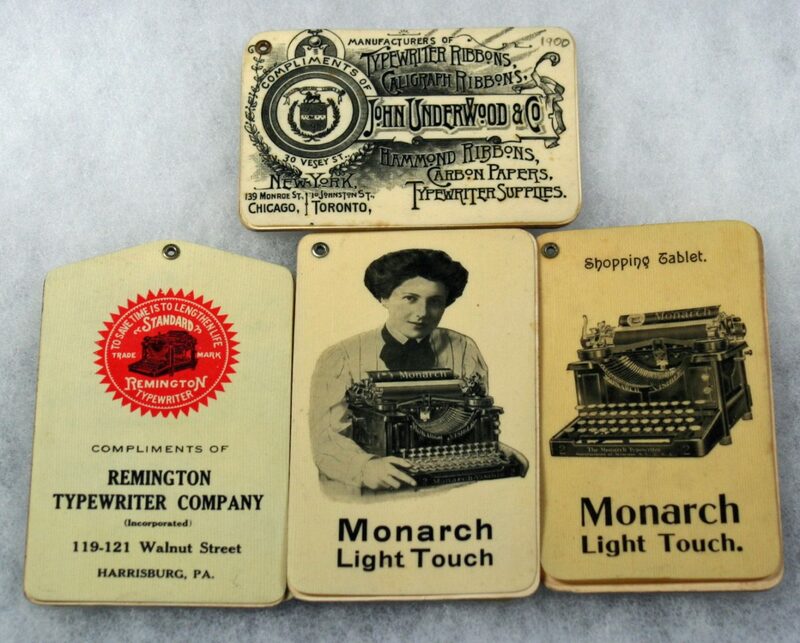 Note Pads, also called Shopping Tablets were a wonderful & useful complimentary handout by the typewriter companies. Between celluloid front & back covers were 2-4 silicate pages that could be written on in pencil and easily erased for future use. They all had calendars on the back. The earliest calendar I have seen was John Underwood’s 1891, the latest was Remington’s 1914. A very nice bronze Note Pad from the Royal Ribbon & Carbon Co. in NYC is also included in this section. Probably dates from the 1910s to the 1920s.